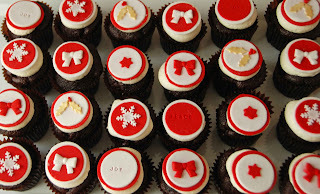 A quick pic of some of the Christmas cupcakes donated to the Ronald McDonald House in Wodonga today. I have just received an email saying even Santa enjoyed some of these treats! I am thrilled to be part of the amazing group called The Cake Angels, such a great organisation.